I guarantee everyone who comes to my show will have a good time. There’s a saying, ‘there’s no story so good a drink won’t make it better’. My stories, plus drink, equals killer night out. Besides, don’t you want to know how tomato sauce can kill any STD? I have the answers. Tickets are available online at Ian’s official site, which can be found here. Whitechapel have just been announced for Bloodstock 2013 along with Kataklysm, Avantasia and Ex Deo. They will join headliners Lamb of God and King Diamond and special guests Anthrax. 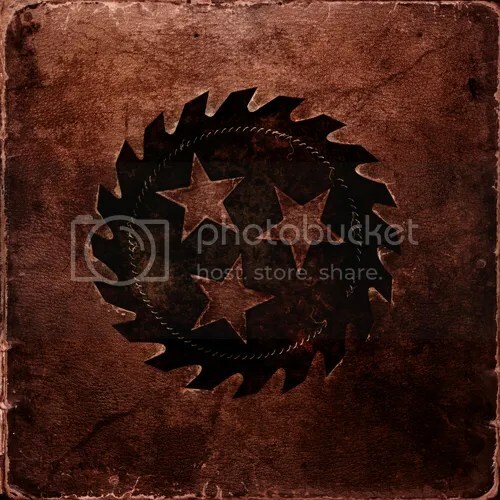 Whitechapel’s self-titled fourth album was released in June through Metal Blade, and the band spent the summer melting tarmac on the Mayhem Festival tour in the US (alongside Slipknot, Slayer, Motorhead… and Bloodstock compadres, Anthrax). Check out the new video for Possibilities Of An Impossible Existence here. Minutes ago, the Bloodstock announced over Facebook that King Diamond has been confirmed as the Friday night headliner for an exclusive UK show. The metal legend himself will be performing a number of Mercyful Fate classics as well as several numbers from his solo career. King Diamond joins the likes of Anthrax, Accept, Firewind and Fozzy for next year’s festival, which takes place from August 8-11 2013 at Catton Hall, Derby. Tickets for Bloodstock can be purchased here. Bloodstock Open Air saw its most successful year so far last weekend as over 11,000 music fans descended on Catton Park for four days of ferocious metal mayhem. Capturing the phenomenal main stage performances across the weekend were streaming partner Daily Motion, attracting well over 200,000 visitors across the weekend from the UK. Festival director Vicky Gregory comments: “To say we were totally blown away by this year is an understatement! We had the highest attendance in the festivals 12 years with an overall attendance of 11,300 and looking at the feedback from fans they were equally blown away! We had for the first time live streaming via daily motion and had over 208,000 views from the UK alone. Wasting no time in moving forward with plans for next year’s festival – which will see an increased capacity – organisers announced the first act to join the 2013 line up in the form of special guests Anthrax. Wacken Open Air, which is considered the biggest metal party of the year, is still in full swing but like last year, the pre-sales proved to be such a success that the organisers have decided to announce the first lot of bands for next year. Confirmed acts so far include Anthrax, Nightwish, Sabaton and Arch Enemy. Pre-sales of the X-Mas Wacken 2013 package begin at midnight on Monday 6th August.